How to use aloe vera gel – Are you in the search for the best tips to use Aloe vera gel? If the answer is yes, then this is certainly the best place to be in. Aloe vera gel is extremely beneficial and is being used by millions of people since ages. This magical gel is not only helpful for the skin but for hair, weight loss, and overall health. You can get back the glow on your skin with the regular application of aloe vera gel. Here we will let you know the best methods to use Aloe vera gel effectively. We all are aware of the fact that Aloe vera is a natural product and is added in many Ayurvedic and herbal products. It does not cause any type of harm to the skin but immature or irregular use might be harmful to your skin in different ways. Therefore, it is mandatory for you to use it in the correct way to get the best results in fewer days. If you really want to have a glowing and flawless skin then correct use of Aloe vera gel is extremely crucial. Aloe vera does not cause any severe side effects but using it at the right time will give you better and fast results. If you were struggling to find the best ways to use this gel then look no further. We have brought you the best list of the effective tips to use Aloe vera gel. We cannot deny that no matter how much you take care of your skin, it will still have some dirt on it. Therefore, before applying any beauty care product you have to wash your face first with the face wash.
You can also accompany this process by using toner and cleansers. Gently dry your face by rubbing it with a soft towel. Use a small amount of the aloe vera gel and rub it all over your face so that it can get absorbed quickly. The best time to use an aloe vera gel is at night because our skin works in favor at this time. You can easily keep the aloe vera gel overnight on your skin without worrying about any kind of harm. What are the different ways of using aloe vera gel on your skin? If you thought that Aloe vera is only used to treat the sunburn and the after effects of the sun exposure then you are certainly wrong. 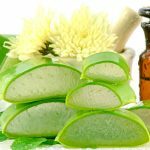 Aloe vera is quite a common ingredient in all the beauty and skin care products as it has so many advantages to provide. An interesting fact about using Aloe vera gel is that you can directly use it from the plant itself, which is the most effective way to use it. Another way is quite a common one i.e. 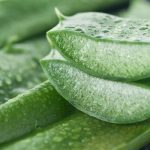 using the beauty products that include Aloe vera. These products can be creams, gels, lotions, sunscreens, makeup removers etc. to name a few of them. What are the benefits of using Aloe vera Gel? There are plenty of benefits of using this gel, especially on your facial skin. It is serving the humans since eternity for all the good reasons. If by any chance you are not aware of the benefits of the gel of aloe vera plant then look no further. We have compiled a list of the top advantages of using Aloe vera gel. 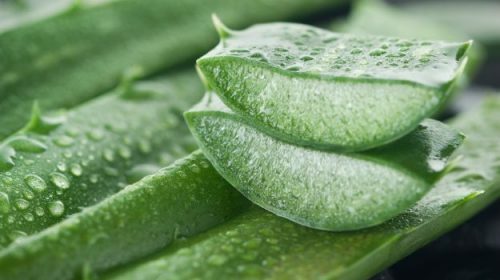 Aloe vera is probably the best ingredients to keep your skin healthy. It can be used on any type of skin to treat any kind of skin related issues like dryness, oiliness, acne etc. It also prevents hair fall. Aloe vera gel has time and again proved beneficial in the weight loss. So, I hope this might have been useful for you for the next application of the aloe vera gel. Aloe vera has so many benefits to provide to the skin. Above mentioned are the effective tips to use aloe vera gel that will give you the best results. So, go ahead and now implement these tips to get the glowing and radiant skin.